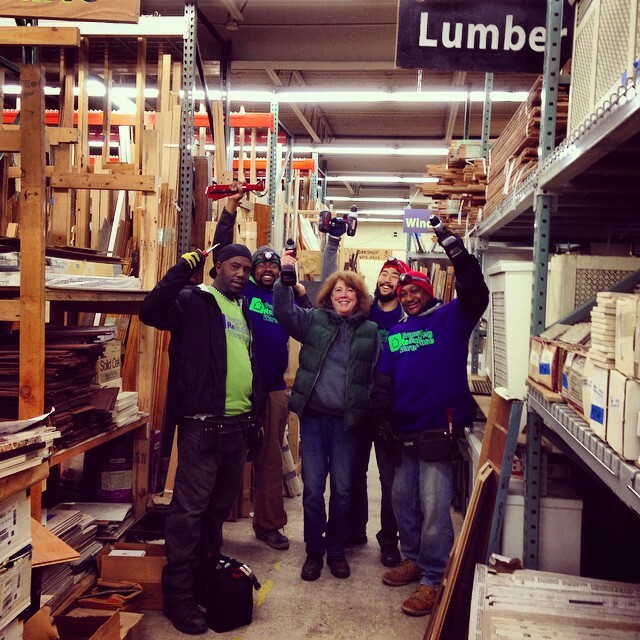 Some of the workforce training crew in a victory pose post-Craftsman donation. From left to right: Red, Doug, Lou, Eugene, and Brett. Lou opened the warehouse just three years ago and is incredibly dedicated to the trainees and expanding the program. 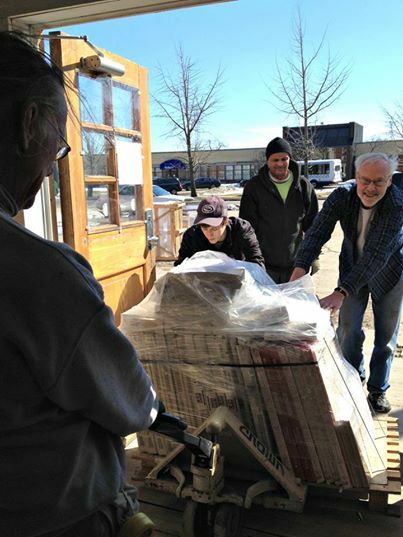 The Evanston ReBuilding Warehouse is a non-profit organization founded in 2011 by Lou Dickson, a retired general contractor who was fed up with all of the construction debris clogging up the landfills. Working in Chicago and in the North Shore suburbs, there was a neverending supply of perfectly good (often very high end) building materials being trashed due to a lack of alternatives and education for both contractors and homeowners. She began trying to change legislation and stockpiling materials from her jobs until she happened to notice some available warehouse space near her home and pulled the trigger. She has essentially created a mini empire since that first lease was signed, and has already expanded the space twice. Believe me, she could fill up the state of Texas with amazing architectural saves if given the chance. Lou, though petite and ever-smiling and polite with a British accent, is an absolute force to be reckoned with. You want cabinets? We got cabinets! You want lighting fixtures! You can’t find a place to rest your eyes without seeing a dozen of them. 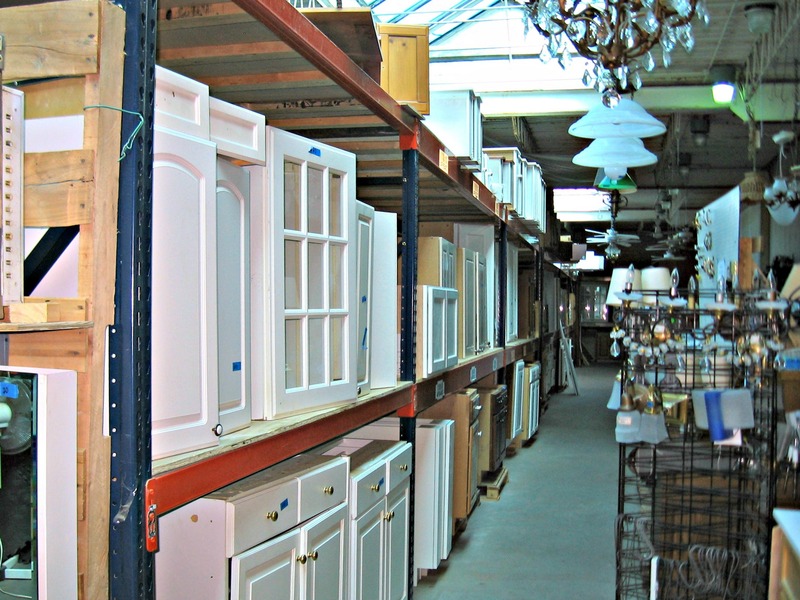 Mind you, this is only one aisle in this ever-expanding 13,000 sf warehouse. The warehouse and workforce training programs would never have happened without an incredible group of volunteers. 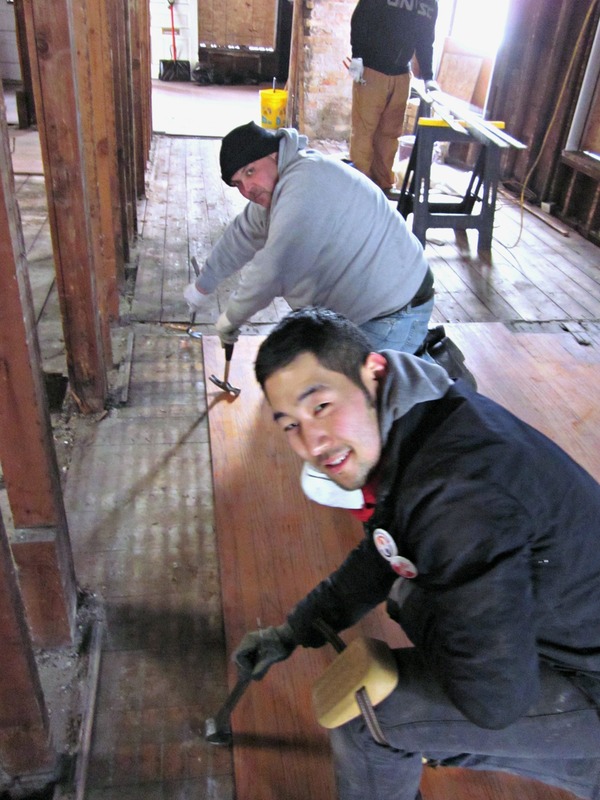 Volunteers consist of contractors Lou has ensnared to help out, local do-gooders, architects, a retired chemist, groups of high school students, university students, a pilot…people of all skill levels and backgrounds. The workforce training classes have focused on adults who are formerly or presently homeless, low-income, or ex-offenders having a difficult time reintegrating into the workforce. By addressing their behavioral, educational, and physical health challenges, those who complete the 7-month program have a very high success rate finding jobs and a level of economic and social stability. Other trainees have just been disappointed with the low-paying jobs and lack of meaningful work available after high school or college, and wanted to do some hard work that would eventually pay off both financially and ethically. All are welcome, and the retention rate has been exceptional. 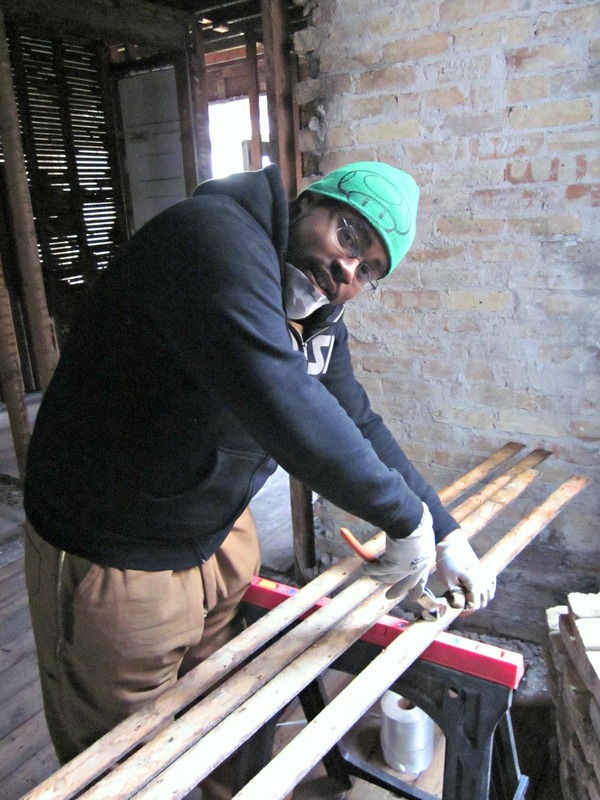 Dave, who started as a trainee and is not an Assistant Trainer, pulling nails on some historic wood flooring. The reclaimed flooring sells so quickly it sometimes doesn’t even make it to the warehouse floor before being claimed by a customer. Most of the loot. 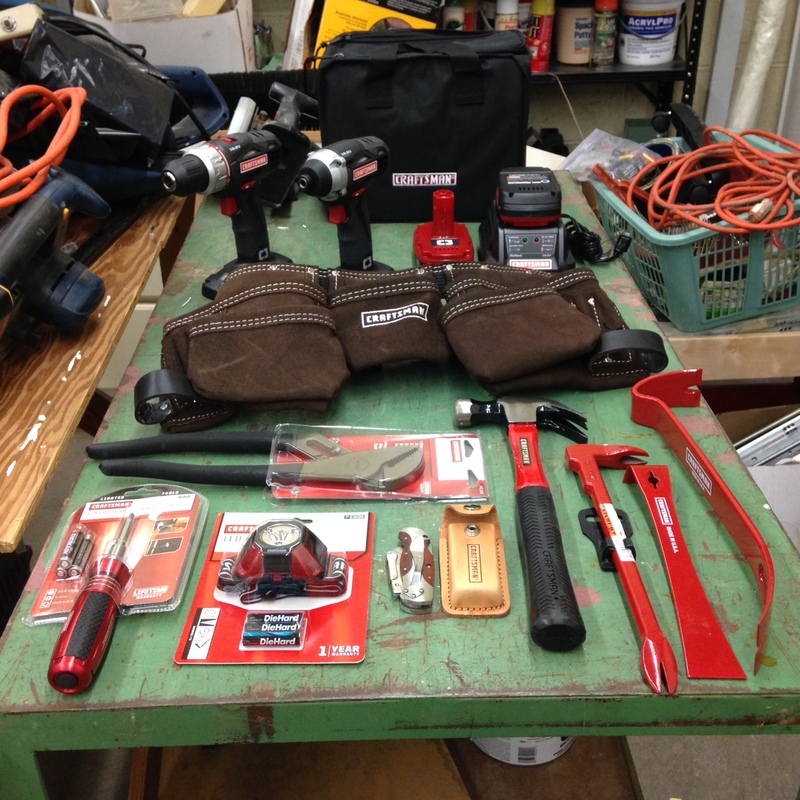 With these tools, each workforce trainee can show up on a job site after completing their certification with the Evanston ReBuilding Warehouse and be taken seriously. Any contractor will tell you that you never want to show up on a job site without tools. Even if you’re hired for a quick job and are more than competent, it unfortunately lessens your credibility with others on the job, and other times can prevent you from getting work in the first place. The 2014-15 graduates will literally leave the program like deconstruction superstars, saving incredible building materials with a full arsenal of both incredible and appropriate skills and tools. Lemme tell you, that makes a difference. This entry was posted in Uncategorized and tagged Chicago, Construction, Craftsman, Craftsmanship, Deconstruction, Evanston, Evanston ReBuilding Warehouse, Green Preservation, Hands-on, Historic Preservation, Lou Dickson, Power Tools, Recycle, Repair, Repurpose, Restoration, Restore, Sears, Workforce Training. Bookmark the permalink. ← Final Community Glue Workshop repair clinic for 2014 – You probably want to be there.